Ladies short sleeve dress by Rival . 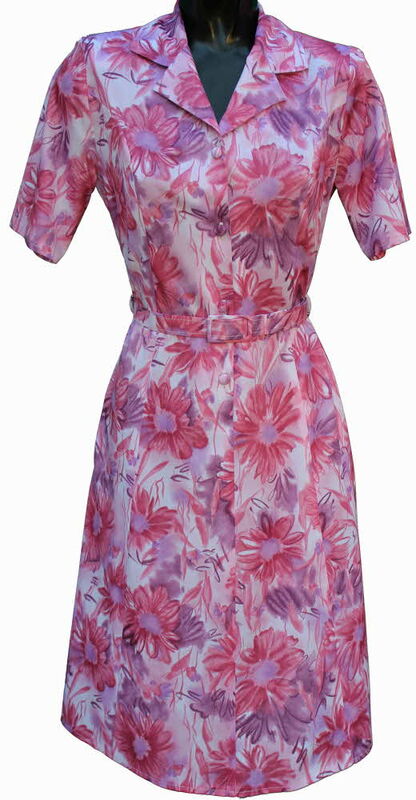 Pink Daisy print .44"
New design! Buttons further down the front to ease with dressing.